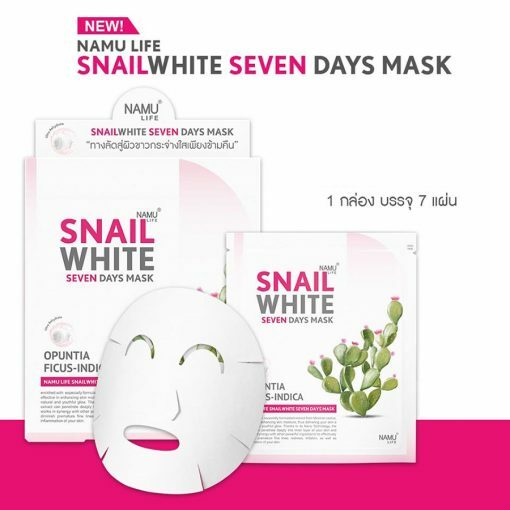 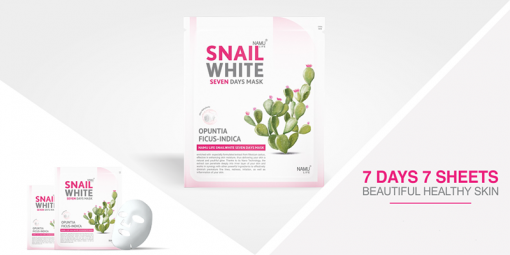 Namu Life Snail White Seven Days Mask is formulated with a special extract from Cactus from Mexico that helps revitalize skin and restores moisture to skin deeply with Nanotechnology innovation. 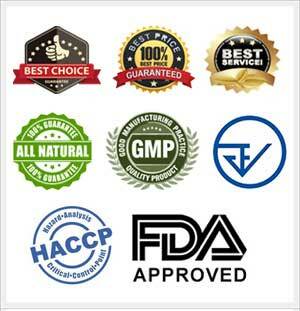 It helps increase water to skin, promotes skin to be radiant, full, and youthful naturally, reduces premature wrinkles, and reduces redness, skin irritation, and skin inflammation. 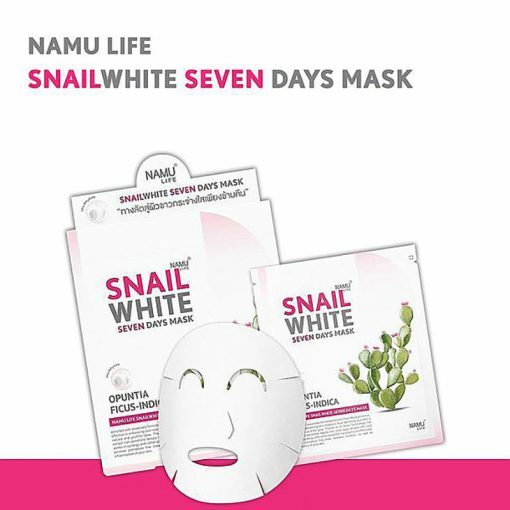 Tear off the Namu Life Snail White Seven Days Mask and remove the first plastic sheet. 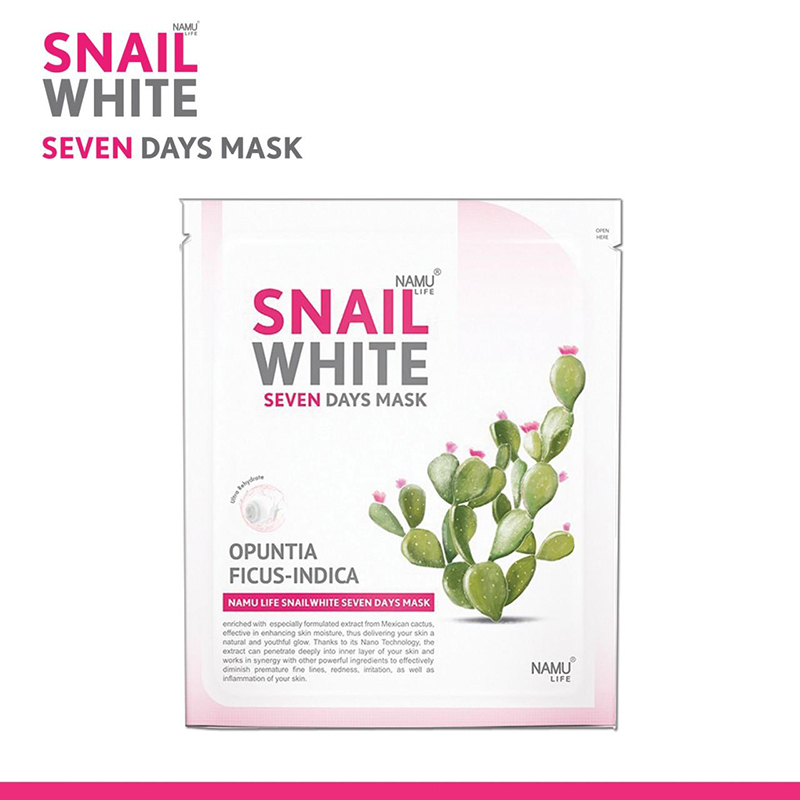 Cover the mask all over the face and remove the plastic sheet on the other side. Then gently press the mask to close to skin (except the eyes and mouth areas). 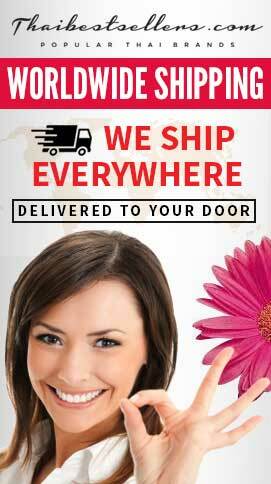 Leave for 15-20 minutes. Gently massage to let the extract absorb into facial skin (for the most effectiveness in restoring moisture to skin, it should be used daily). 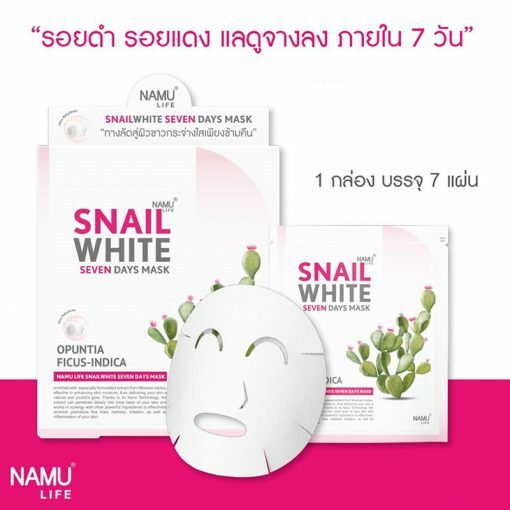 Snail White Body Booster Lotion 500 ml.